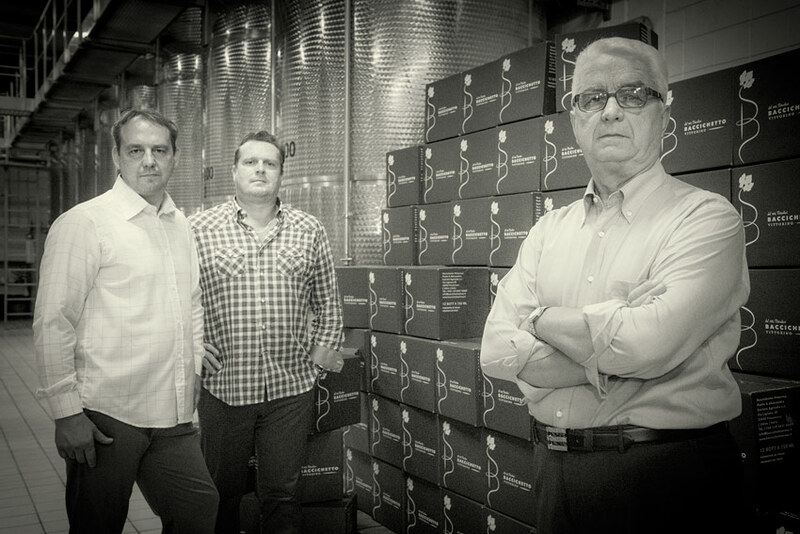 The wine company “Vittorino Baccichetto” is located in the Friulian Riviera. It has a branch in Borgo Titiano, in Precenicco, a location full of history and long established winemaking traditions. The company is a family business. It is not only a business activity but also a life project. It is the result of a cultural heritage handed down from father to son, from generation to generation. Vittorino, the “pater familias”, born in 1941, sketched the fundamental traits of the company starting in 1966 together with his wife Anita. 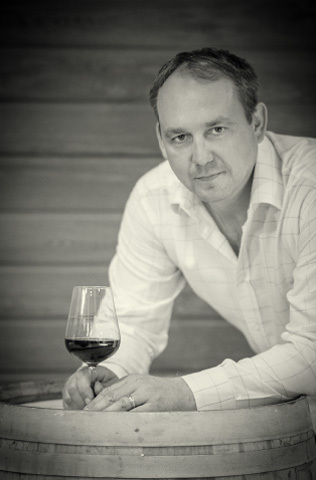 Since then, he has transmitted to his children what he believes to be his true mission: producing quality wines that express earnestly the territory’s features. 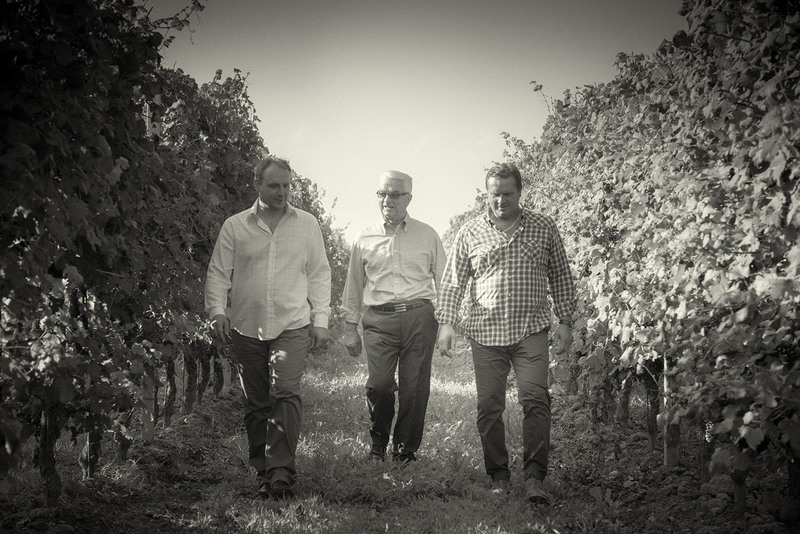 To this very day, the father’s experience represents a safe guide both for Paolo, who manages the vineyards and for Alessandro, who manages the winemaking process and the winery. 1966 is the foundation year of the “Vittorino Baccichetto” in Precenicco and it marks a significant stage in this journey of life and wine culture that started almost a century earlier, in 1888. 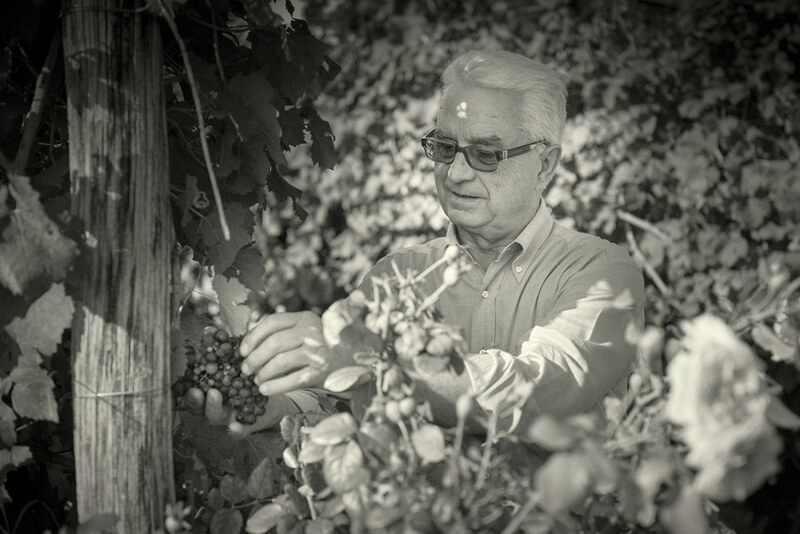 Vittorino’s grandfather already cultivated a love for vineyard cultivations in the Venetian plain, transmitting his experience and knowledge to his son Sisto, then to Vittorino and later to his grandchildren who were able to successfully apply them to winemaking in the Friulian land. In our winery, managed by Alessandro Baccichetto, we make wine through a delicate grapes processing method called Ganimede®. 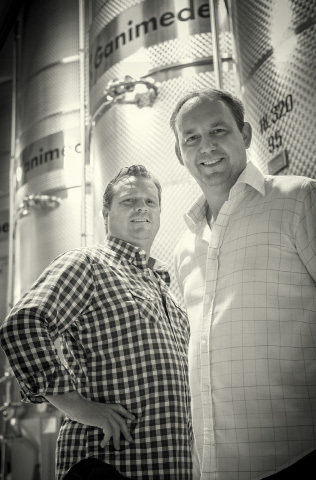 The naturalness of the wines is therefore guaranteed along maximum efficiency and a very high quality level. Among the method’s benefits: selective extraction of noble substance only (good tannins) during the restirring of the grape marcs and the minimizing of the volatile acid content in the final product. Ganimede® is applied to the processing of highly aromatic red and white wines, such as Sauvignon and Traminer, because it enhances the development of specific individual bouquets. Vittorino Baccichetto wants to have direct relationships with his costumers. The sales outlet has always been the focus of the business activities. Managed in rotation by the family members, it welcomes costumers coming from different Italian regions: from Veneto to Piedmont, from Liguria to Lombardia. The part of the production that is not directly distributed is sold to the HoReCa circuit and to the high-quality wine market. 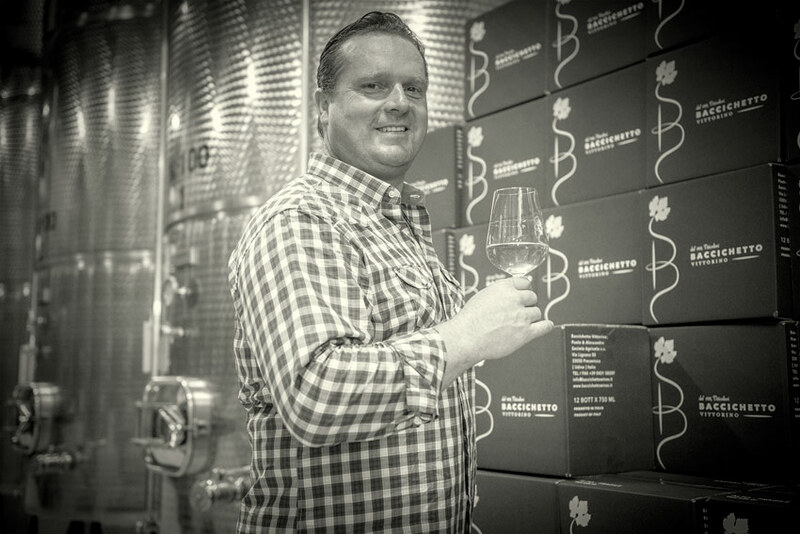 Vittorino Baccichetto’s wines are found abroad as well: in the Netherlands, Austria, Germany, Ireland and beyond European borders such as on the Chinese market. Both in international and local markets there is a local autochthonous red wine that is increasingly earning its well-deserved popularity: it is the Pignolo red wine, that traditionally ages in big French oak barrels in the barrique cellar neighboring the sales outlet.